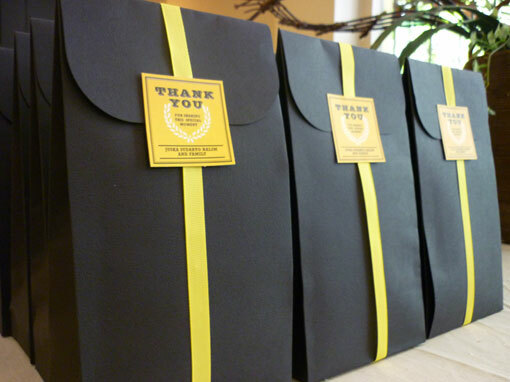 Doesn't black and yellow make a great color combination? 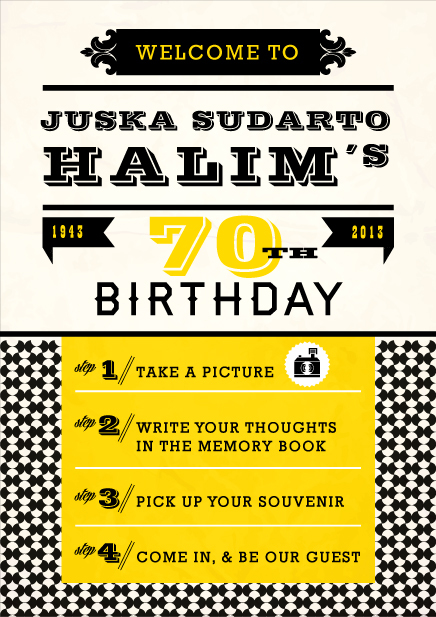 seems like the perfect occasion for it. 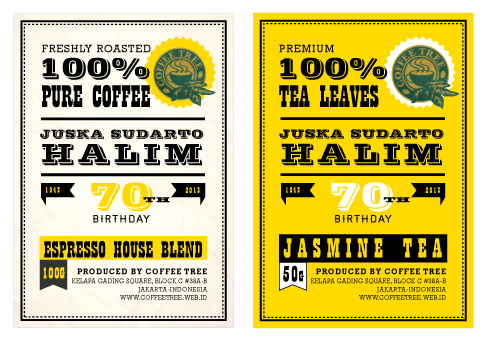 Here we have the welcome poster, tea & coffee labels, and packaging for Om Halim's birthday.